(((Lana))) Leunig has such a delightful sense of whimsy! You are sliding into Spring while we are stumbling into Fall, but this love letter would apply in either case. (((Michelle))) singing I dream of a world where love is the answer! (((Judy))) Leunig is a national treasure! Colorfully illustrated.. beautiful words. Thank you for sharing. (((Tina))) Leunig’s cartoons have helped me understand the world ever since we first arrived in Australia in 1969, nearly half a century ago! I didn’t know he was Australian! 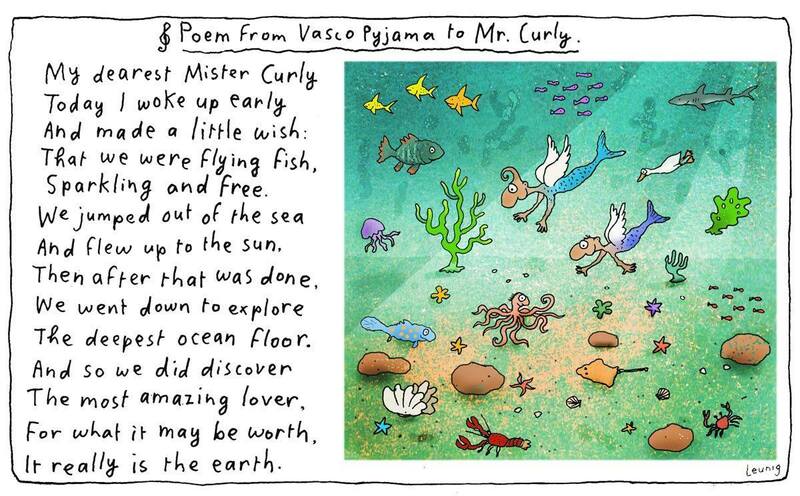 (((Dee))) I can’t imagine Leunig coming from anywhere else on earth!